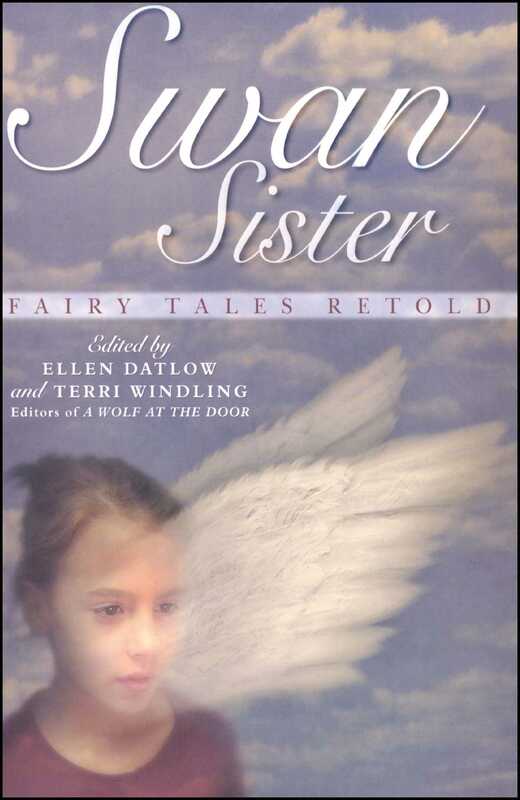 Just as fairy-tale magic can transform a loved one into a swan, the contributors to this book have transformed traditional fairy tales and legends into stories that are completely original, yet still tantalizingly familiar. When we were kids, we were told that fairy tales were only for little children -- which implies, of course, that we'd lose our interest as we grew up. But we kept on reading fairy tales year after year, and they were just as wonderful as ever. Was there something wrong with us, we wondered, that we were so enchanted by nursery stories? And why, we wondered, were fairy tales considered suitable for little children anyway? Some of the stories we read in the Brothers Grimm volumes seemed grim indeed! There were queens who danced to death in red-hot shoes, wicked witches burned up in ovens, ghostly children weeping blood red tears, and wolves lurking in Granny's nightclothes. Eventually we learned that in previous centuries fairy tales weren't considered children's stories -- back then, they were told to everyone, young and old alike. But in the nineteenth and twentieth centuries, certain book editors, as well as the Walt Disney Studios, took hold of fairy tales and changed them. They turned harrowing, suspenseful stories into sweet and simple tales full of frolicking bluebirds, giggling mice, square-jawed heroes, and dumb-blonde princesses. In these new versions of fairy tales the Good were always unambiguously Good, and they always triumphed over Evil. Real life, however, is more complex than that. The old fairy tales were more complex than that too. Underneath their fanciful trappings, the old tales had a lot to say about human nature: about cruelty, vanity, greed, despair -- and about the "magic" that overcomes them: kindness, compassion, generosity, faith, persistence, and courage. Back in the seventeenth-century France there was a group of writers in Paris who loved those older, complex stories. And so they made it into a game, as they sat together in their elegant salons, to retell traditional fairy tales in clever, interesting new ways. In fact, some of the tales we love best today are versions first told in French salons, such as Charles Perrault's "Cinderella," complete with fairy godmother and rats turned into coachmen. Sometimes two writers would choose the same tale, and each would rewrite it in his or her own way -- and then the other salonnières would decide who'd done it best. Today, three hundred years later, many of us still love playing this game -- trying to discover fresh new ways to retell beloved old stories. The authors in this book are also people who never outgrew their childhood love of fairy tales -- as adults, they're still reading magical stories, and writing them too. For this collection (the sequel to our previous book A Wolf at the Door), we asked writers to send us brand-new stories based on older tales -- fairy tales, folklore, legends, and even old folk ballads. You'll find new versions of "Bluebeard," "Rapunzel," "The Fisherman's Wife," "Tom Thumb," "Sleeping Beauty," and "The Seven Swans;" as well as two works based on The Arabian Nights; two different versions of "Red Riding Hood;" a story inspired by "Greenman" legends; and one Celtic folk song. Each of these authors has taken traditional material and fashioned it into something of his or her own -- just as those French writers did in Paris three hundred years ago. Who knows? Maybe three hundred years from now groups of writers will still be telling these stories. We hope so. Because there will always be readers who don't outgrow their love of magic. If you'd like to know more about fairy tales, here are three good collections of them: Spells of Enchantment edited by Jack Zipes, The Classic Fairy Tales edited by Maria Tatar, and Favorite Folktales from Around the World edited by Jane Yolen. If you're looking for strong female heroes, try Not One Damsel in Distress: World Folktales for Strong Girls edited by Jane Yolen, The Serpent Slayer and Other Stories of Strong Women adapted by Katrin Tchana and illustrated by Trina Schart Hyman, and Strange Things Sometimes Still Happen edited by Angela Carter. A fascinating book about fairy tales is Touch Magic: Fantasy, Faerie and Folklore in the Literature of Childhood by Jane Yolen. On the Internet, try these Web sites: The SurLaLune Fairy Tale Pages (www.surlalunefairytales.com) and The Endicott Studio of Mythic Arts (www.endicott-studio.com).